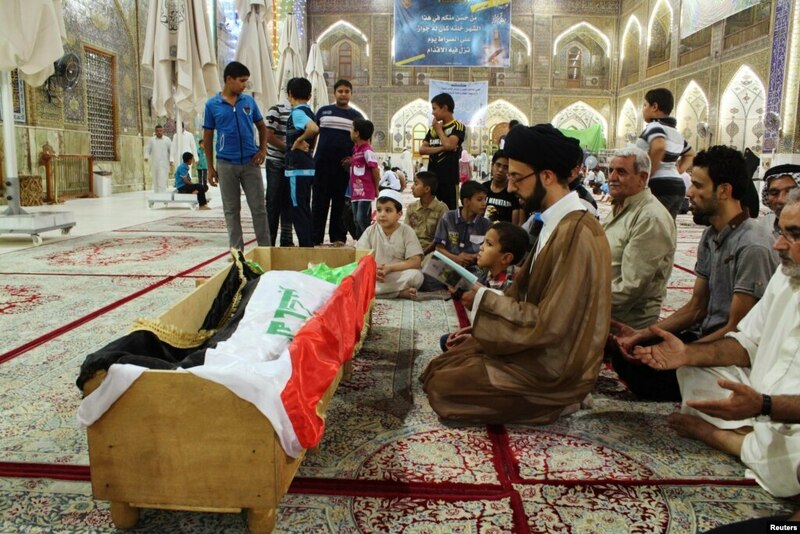 Mourners pray at the coffin of a victim killed during an attack on a prison in Taji, during a funeral at the Imam Ali shrine in Najaf, 160 km (100 miles) south of Baghdad, July 22, 2013. PARIS — Interpol issued an international alert on Wednesday over hundreds of fugitives who escaped two Iraqi prisons in attacks claimed by al-Qaida, saying the jail breaks were a “major threat” to global security. More than 500 inmates fled on Monday following the simultaneous raids. al-Qaida members, some of whom had been sentenced to death,” Interpol said in its statement. The police organization said it had alerted countries in the region at the request of Iraq, whose authorities were gathering photographs and fingerprints of the fugitives so an alert could be issued worldwide to help track them down. The Islamic State of Iraq and the Levant said it had deployed suicide attackers, rockets, and 12 car bombs, killing 120 Iraqi guards and SWAT forces in the attacks in Taji, north of Baghdad, and Abu Ghraib, the prison made notorious a decade ago by photographs showing abuse of prisoners by U.S. soldiers. 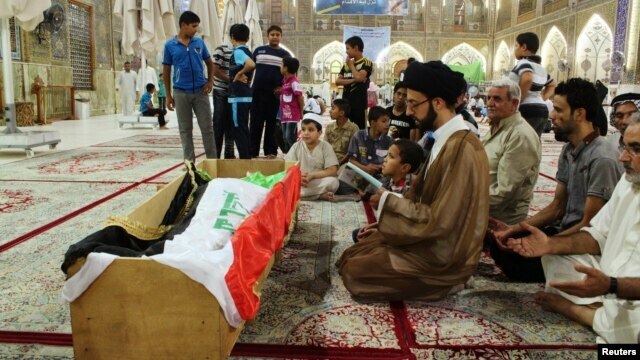 Iraq's Interior Ministry and medical sources said 29 police and soldiers were killed, and 36 wounded.